The World According To Tom: This is Sparta? Well, I made a small post about Greek yogurt as a great post-workout snack a while ago, also mentioning the new year and all the wonderful opportunities to either make life altering, revolutionary changes to one’s life, or to just make a few little tweaks here and there. Now, already a month into sticking with resolutions, I thought for my next blog post it would be neat if I could share a few of the changes I am trying (and struggling with) to make a reality. But before I start, I just must state that I also highly recommend these changes to anyone reading this post, as within only weeks I have begun to notice the positive changes in my day to day life. On to the change! Change #1: Stretching before bedtime. While flexibility was never something I associated with being healthy and fit, recent (and stupid) events have made me realize the falsehood behind my thinking. In short, after some teenage fun, I fell off a roof…Yes, a roof, although not the top floor roof but more of a 10-12 foot one. I bruised my ribs, and perhaps sustained a minor concussion, and all in all had a discomforting week or so with anything that required movement (or breathing, some days). I am certain that the only thing that prevented me from sustaining a major injury (other than sheer dumb luck and a nice thick coat and pair of snow pants), was my youth, and the degree of flexibility/sponginess that all children are born with (most children anyways) and that only disappears with blatant neglect or old age. Essentially since we youngsters are not brittle I was ok.
That being said, I have now started to stretch before bedtime, everyday for anywhere between 10-20 minutes. This is an important and essential part of one’s day that is never taught in schools, health class, or commercials, and is neglected far too often and by far too many of us. All it takes is a cheap, thin yoga mat that can be kept inside your room, the willingness to learn a few stretches (for the whole body!) and the ability to remain committed to the routine. Not only will this increase your flexibility (I CAN TOUCH MY TOES! ), but it will slow down and relax your body, breathing, and muscles so that even your sleep will improve. It’s just the perfect thing to do! So get to it! Just some of the stretches I like to do. Thanks Pinterest! Now I know what you might be thinking. "Gluten free is only for health nuts", or "without bread I am a spineless worm", but you are wrong! Wheat is just plain bad for you, and you don't need it, despite the misinformation we receive from media and our education in schools. In fact, wheat really has nothing good for you, save for whatever small amount of fibre or vitamins are in a cardboard-esque piece of smartbread. The wheat of old (sounds cooler than it should) was beneficial for us, but it isn't any longer, and after a long train of genetic modifications and mutations, you're better off just ignoring the plant altogether (even wholegrain...Don't let it fool you, it's still wheat). Don't believe me? Read Wheat Belly, written by Medical Doctor William Davis who explains why wheat is the devil, or browse the internet for more info. I have scarcely touched wheat for some time, and it feels great. Stomach problems or indigestion, acne, bloatedness, and even fatigue are drastically reduced with the reduction of wheat in a diet, and once the cravings have been beaten, there is no going back. Besides, there are plenty of healthy and tasty meal options that don't even require bread, and there are even some mildly low carb bread substitutes that use rye or other grains instead of wheat. So give it a try, and say no to wheat! Alrighty then. I understand that this change may sound absolutely ridiculous, and by all rights it should sound that way. After all, who doesn't love a nice hot shower, or the pleasure of standing under the showerhead until we resemble a gigantic prune? We shower and love it so much (most of us, I hope) that it has practically become a ritual, often integral for waking up in the mornings or getting ready for bed. However, after doing some reading, I have discovered that our precious hot showers may serve us better by being cold. Cold water greatly reduces muscle soreness or stiffness, especially after a workout (the increased circulation in our body actually helps remove lactic acid from muscles. It's the same reason why athletes take ice baths after a game. Try it after your workout, and feel the difference!). Cold water makes you happy (It's unbelievable but true. The shock of water just fixes whatever bad mood you might be in. It really is amazing). And that's only the tip of the iceberg (Ha ha, get it? Iceberg because...Ahh, just forget about it.) and there are other benefits that our body receives from taking a cold shower. Personally, I suggest beginning with a lukewarm shower so soap can foam up nicely and do its thing, but then gradually turning the faucet down and seeing how long you can stand the cold (to a point of course; don't get blue lips or die or something). 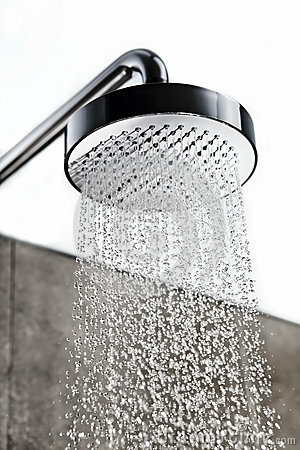 A great website to read more about the cold shower lifestyle is http://wakeup-world.com/2012/04/11/ten-health-benefits-of-cold-showers/ .It was a great place for me to start my learning, and I highly recommend reading the article. This sounds tough. Kudos to you for doing this. I am sure it can only make one healthier but it looks like it takes a lit of will. Am impressed. Thanks very much, especially for taking the time to comment and for the nice words! And you're right, it does take quite a bit of effort, but although I still "cheat" some days habits will hopefully be formed one day. Thanks again!